Grate the cucumber with the large holes of a box grater. Spread in a thin layer ona plate a sprinkle the 1/4 tsp of salt on top. Set aside for 15 minutes (you can prep the rest of the ingredients at this time). 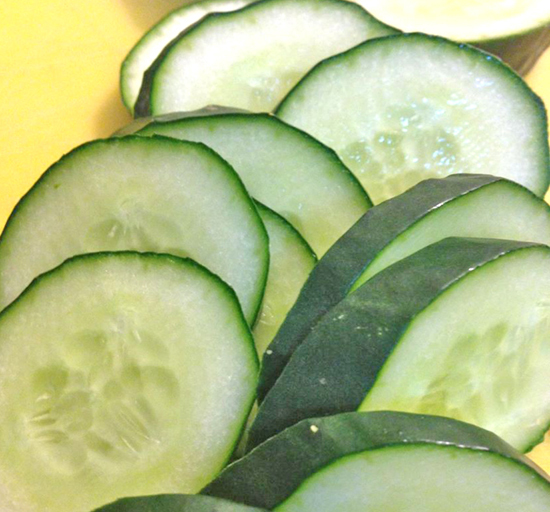 Squeeze the water out of the grated cucumber with two hands and set in a medium mixing bowl. In a food processor, blend the yogurt, parsley, garlic, salt and lemon juice until uniformly blended. Transfer the yogurt mixture to the mixing bowl with the cucumbers. Stir with a fork to combine.